Best grilled marinated shrimp recipe. Marinated shrimp grilled on the grill and served with delicious homemade herb sauce. Instructions: In a blender or food processor, combine all ingredients. Blend at low speed for 30 seconds-1 minute. The herb mixture should be chunky, not smooth. 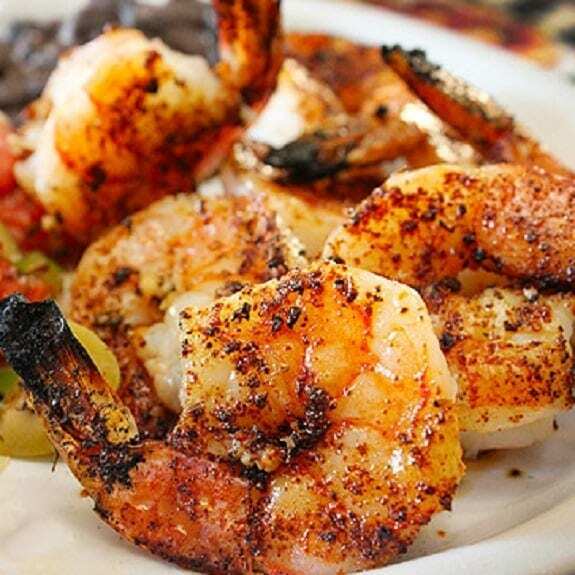 Serve over grilled marinated shrimp or with your favorite grilled food. Enjoy! Instructions: Heat heavy cast-iron skillet over medium heat. Add unpeeled garlic cloves and roast, stirring occasionally, until skins have browned on all sides and cloves inside are soft, for about 12–15 minutes. Remove the skillet from the heat, set aside and let cool. Peel roasted garlic cloves and transfer to a blender. Add remaining ingredients. Blend until smooth. 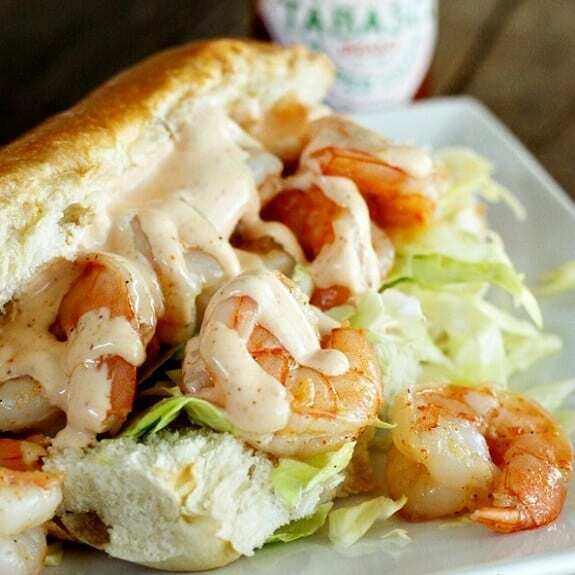 Serve with grilled marinated shrimp, fish, etc. In a large bowl, combine the shallots, garlic, mustard, wine, lemon juice, oil, rosemary, parsley, basil, salt, and freshly ground black pepper. Add the shrimp and stir to blend. Refrigerate and let stand a minimum of 2 hours. When ready to cook, preheat a cleaned,well-scrubbed outdoor grill to high. Brush the grill lightly with oil. Arrange an equal number of the shrimp-perhaps 7 or 8-on 4 skewers. Arrange them so that they will lie flat and touching when placed on the grill. Place the skewered shrimp on the grill and cook 1½ to 2 minutes, or until the shrimp can be lifted from the grill without sticking. Turn the shrimp and cook them 1½-to 2 minutes, or until done. Remove grilled shrimp from the skewers and arrange them, edges slightly overlapping, on each of 4 plates. Serve grilled shrimp with lemon wedges or, if you wish, with beurre blanc, or white sauce, spooned over.